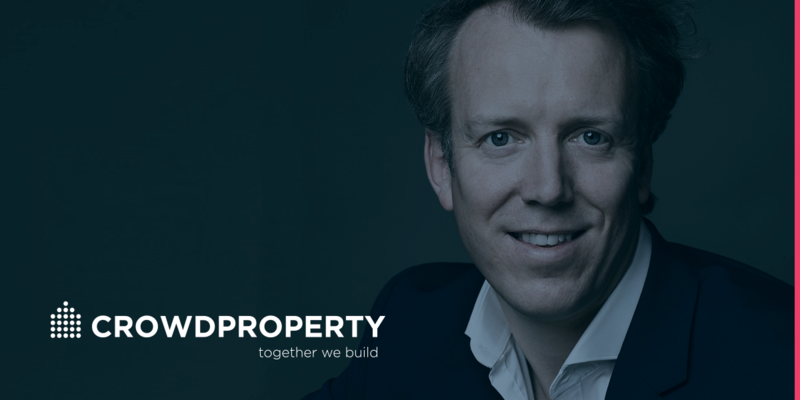 We are pleased to announce that Mike Bristow, CEO and Co-Founder of CrowdProperty, is coming to Campus for a presentation on April 29th, 2019 in Sammy Offer Centre to talk about technology-enabled alternative finance, which the UK arguably leads the world in, making financial services far more efficient and therefore more rewarding for customers. CrowdProperty is becoming the number one place for SME property professionals to easily raise finance for property projects. Offering bridging, refurbishment, development, auction and 'special situations' (just ask their experts) funding, CrowdProperty is funding projects in minutes (and sometimes seconds) on their platform from 7,000 lenders, funding £80m of property and 500 Great British Homes to date. Applying complex technology and deep property expertise, CrowdProperty more efficiently matches the supply and demand of capital, meaning a better deal for both borrowers and lenders alike. So much so that CrowdProperty has just announced that a major financial institution is providing a £100m funding line for projects CrowdProperty approves (http://www.p2pfinancenews.co.uk/2019/03/14/crowdproperty-unveils-100m-city-funding-line/). As CEO and Co-Founder of CrowdProperty, Mike is responsible for CrowdProperty’s overall strategy and development. He brings a wealth of business building, private equity and strategy consulting expertise in addition to considerable property investment, alternative finance and technology experience. He has 20 years’ strategic advisory experience across a wide range of leading international companies and private equity funds and has particular expertise in consumer, B2B2C, digital and real estate sectors and has invested directly in over 20 'proptech' (property technology) businesses. Mike graduated from LBS in 2008 after completing his Executive MBA. Mark up your agendas and please plan to arrive 15 minutes early on the day of the event.